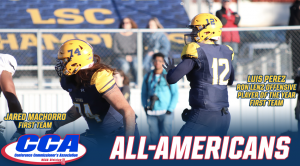 Led by the Ron Lenz Offensive Player of the Year, Texas A&M University-Commerce has two football players on the Division II Conference Commissioner’s Association (D2CCA) All-American First Team, as announced Wednesday morning. 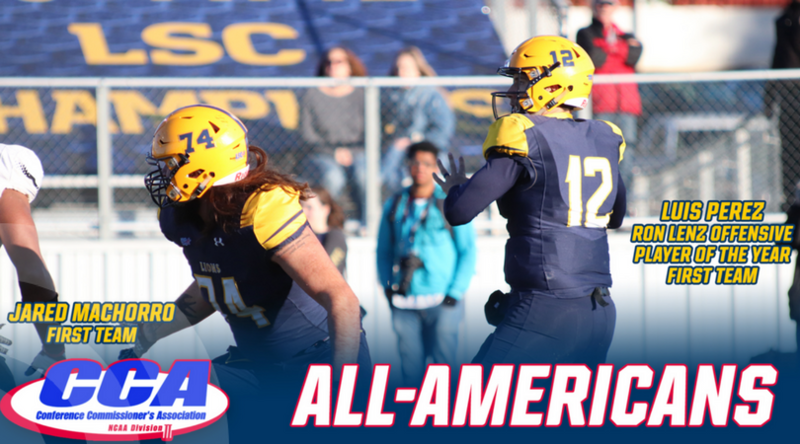 Quarterback Luis Perez was named the Ron Lenz Offensive Player of the Year and first team All-American quarterback, while left tackle Jared Machorro was named first team All-American. Perez is the nation’s leading passer and a Harlon Hill Trophy finalist. Perez has led the Lions to a 13-1 record and the National Championship game with Division II’s longest active winning streak at nine games. He has completed 398-of-566 passes for 4,678 yards and 44 touchdowns this season, while completing better than 70 percent of his pass attempts. He is the first Lion to earn National Player of the Year honors from the SID voting group in any sport. 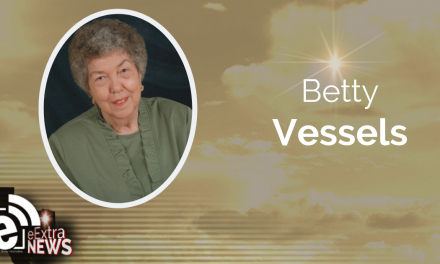 The Chula Vista, Calif. native is the reigning J.W. Rollins Lone Star Conference Offensive Player of the Year and posted 10-consecutive 300-yard passing games this season including a campaign-best 482-yard effort against Tarleton State. He has thrown at least four touchdown passes seven times this season and went 269 pass attempts without an interception. Perez is NCAA Division II’s active passing leader at 8,802 yards over the past two seasons with 76 touchdowns and 15 interceptions. Perez is the third Lone Star Conference player to earn Ron Lenz Player of the Year honors, joining Abilene Christian running back Bernard Scott in 2008 and West Texas A&M defensive lineman Ethan Westbrooks in 2012. This is his second All-America honor of the season. Machorro received the most votes of any offensive lineman in the All-American voting, earning his sixth career All-America honor. He was also named a first team All-American by the American Football Coaches’ Association last week. The Lone Star Conference Offensive Lineman of the Year has paved the way for the nation’s No. 2 passing offense on the way to the National Championship Game. The outstanding blocker has been one of the nation’s top blocker, as the Lions have allowed fewer than two sacks per game, while the offense has dropped back to pass more than 45 times per game. The Ron Lenz National Player of the Year award was named for longtime South Dakota State sports information director Ron Lenz in 2008. Lenz was instrumental in the foundation of the Division II All-America program beginning in 1993. The Division II Conference Commissioners Association encourages and promotes Division II athletics and high standards of sportsmanship as important elements of higher education. The CCA is a key communications link among the conferences as they discuss views, policies and regulations that impact Division II intercollegiate athletics and works closely with the NCAA as a communications channel to NCAA Division II member colleges and universities.